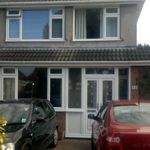 new conservatory & replacement conservatory roof|conservatory|Southern pvc Systems ltd.
We design and fabricate double-glazed pvcu conservatories in all shapes and sizes for oth DIY and trade customers. 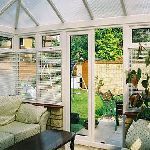 We design your double glazed conservatory to blend in with your home and provide that extra room, giving you added pleasure all year round. 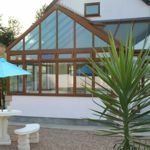 Every conservatory that we manufacture is different, all are bespoke. 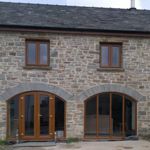 When we design yours we can draw on many years of experience to help overcome any site difficulties, ensuring that you have what you want and that it will fit well in your particular situation. 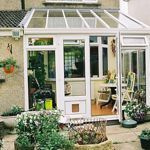 There is an enormous range of possible designs for your conservatory and we can give practical guidance on what is technically possible. 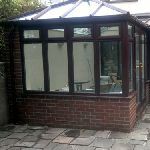 We also supply replacement conservatory roofs. Many of our customers are replacing the older polycarbonate roofs with new glass ones. Glass admits more light, can be more energy efficient, is less noisy when it rains and will visually enhance your existing conservatory, you can even replace with self cleaning glass (subject to pitch suitability)....contact us for details.